Situated off Norton Avenue just opposite Herdings Park was "Norton Aerodrome"
I am sure my friend Stuart0742 has asked for some details about it before in one of the maps areas but we still seem to know little about it. When I was younger in the 1960's it clearly had the appearance of a long disused military air base but I can never remember it being used as such. In fact when I took this picture of it in 1969, clearly visible from Norton Avenue, no one from the MOD tried to stop me or charge me under the Official Secrets Act, or with spying or committing an act of treason, terrorism or sabotage. This is one of the pictures that gleadless.net could have had. The state of decay gradually got worse and parts of it got used by gangs of lads on off road trials bikes. It was then taken over as a driver training centre in the 1970's -80's where you could pay to practice driving your car or bike around those huts on their fairly narrow road ways and much wide runways. Ideal if you were learning to drive and needed some off road practice first, although being run legally you did need to show all your documents (licence, insurance, tax etc.) when you paid to use the facility. Today even that has gone, many of the remaining buildings have gone or are in total disrepair and vandalised. The place is derelict. Does anyone know the history of this site as an airbase, including dates when it opened / closed and the sort of operations which were carried out from this base? It was a Barrage Balloon and Maintenance Station during WW2. The local (flypast only) flying displays were held there during the 1950s. I saw a mass flypast of Wellington and Lancaster bombers there when I was about ten and was almost frightened to death by the noise. During the WW2 it was used as a punishment base for bomber crews who had failed to find their way to Germany, or dropped their bombs too early i.e. on open countryside, or had too many occasions on which faults on their aircraft forced them to turn back. The crews were described as "lacking in moral fibre" or "in need of retraining"
I've just noticed Picture Sheffield say they've have added over 100 images of Norton Aerodrome from the 1950's.Haven't found them so far! Should be interesting to see, 100 images of one site. Not all PictureSheffield images are available online, some of them you have to go down to the local history section in the Central Library to see. There are 103 listed. Look under RAF Norton. Easy to miss as it's listed out of order. Thank you, DaveH, for the photograph. A group of us would explore this aerodrome when returning from school, 1959-1962, toward Norton Lane and Cinderhill Lane. The POW camp was at at nearby Cinderhill Lane » * where I lived. * cannot remember the farmer's name .. could it be Latham? 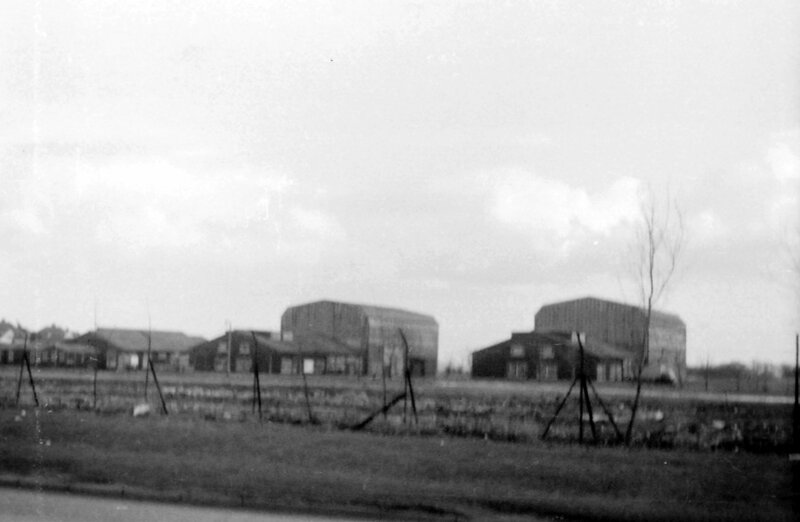 A group of us would explore this aerodrome when returning from school, 1959-1962, toward Norton Lane and Cinderhill Lane. The POW camp was at at nearby Cinderhill Lane Â» * where I lived. Thanks for that link there Schroder, very interesting that during the war it was a German POW camp. Can't help with the Cinderhill farmer. Only farm I knew in that area was on the other (Gleadless Townend) side of the camp. This was lightwood farm on lightwood lane. As recently as about 1970 a couple of traction engine owning friends of mine used to go there and do a bit of threshing and the like with their engine. In February 1939 the RAF established an office at 641 Attercliffe Road and began enlisting men who undertook initial barrage balloon training in a factory on Bridge street. 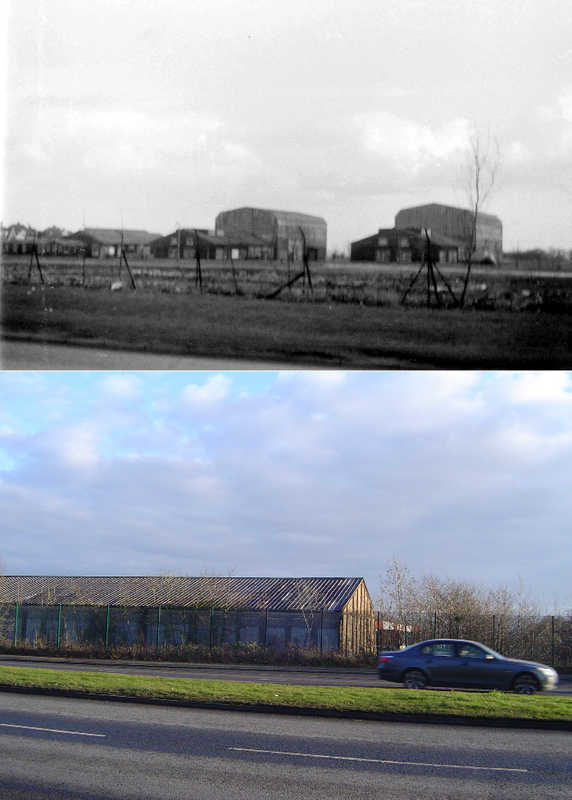 The RAF then acquired a site at Lightwood, erected buildings, and in the summer of 1939 transferred from Attercliffe to what was called No 16 Balloon Centre at Lightwood. Their role was to set up barrage balloon sites around Sheffield, prepare and supply equipment, carry out repairs, and train staff to operate the sites. By the time war broke out, there were 3 squadrons ready for action, No 393 (WEST), No 940(ROTHERHAM), and No 941(CENTRAL). 941 was disbanded in April 1940 and staff transferred to the other 2. At full strength there were 72 balloons around Sheffield. By 1943 the air threat to Sheffield had diminished, and most of the balloons were transferred to the defence of London. On the 1st July 1943 Lightwood was renamed RAF Norton. It was transferred to Signals Command and became No 3 Ground Radio Servicing Squadron. This continued until 1965, when under an RAF reorganisation the Squadron was moved to Rutland. RAF Norton officially closed in January 1965. Raf Norton wasn't a POW camp, it was an RAF establishment until 1965. As Schroder says, the 'POW' camp was on Cinderhill Lane, and was a work camp for German POW's in 1945 rather than a camp as at Redmires. Thanks for both of those Bayleaf. I must admit I would have been quite surprised if it had turned out to be a POW camp, but someone else had said in an earlier post that it was a "punishment camp" of sorts which also struck me as unusual. It looks as though the official version quoted in your post most fits in with my experiences. I thought it was used until about 1967, so to close in 1965 would be about right. Perhaps some of the other posts are refering to Cinderhill Lane camp and not Norton Aerodrome. Here we go then, this is about as near as I can get to a then and now, not sure of the exact position along Norton Avenue. Also posted into "Then & Now" discussion topic for eventual consideration for the Showcase. If the then was taken 1971, after the camp closed, when were the buildings that are there now built, they look quite old. I think they may be original as I am not sure I am in quiet the same position. All the buildings in my 1971 picture have gone and there is nothing to get a fix on anymore. The "NOW" shot may be taken further along Norton Avenue away from townend and that building may have always been there. If you want to have a go at matching the 1971 shot more accurately of course you are welcome. 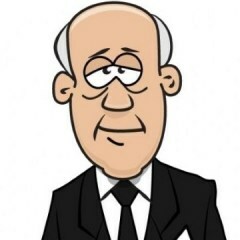 I'm supprised you've not mentioned the plane. A Spitfire or Hurricane was parked there behind the fence next to the road in the (50's)?? Can't remember when it went, but it was there for as long as I can remember. It must have been taken there by road transport because I'm pretty sure there was not enough room to land a plane there. Early 70's I worked for a second hand dealer and we bought all the furniture etc from the huts/barracks when the base was closed. These buildings were pulled down soon after we emptied them. At around that time my cousin rented space in one of the hangers where he worked on a vintage car. I remember there being quite a few people working in them. I used to go there to help him in the evenings & weekends. He gave me basic driving lessons there, long before it was taken over by lightwood driver training. I can't remember the plane, first went up there in the 1960's and I don't remember seeing it. It was not a place we went past often though. Thanks for confirming the dates around which many of the original buildings were removed (early 70's). as my photo was taken in October 1971 it seems I must have been lucky to capture them before they finally disappeared forever. Part of the aerodrome site was built on, in the mid- seventies, to provide the residential hospital for people with learning disabilities Lightwood House Hospital. I nursed there in the 1980's. The former RAF staff accommodation was sequestered for hospital staff housing. According to my mom (young teenager during the war) The Spitfire arrived a few years after the war ended and was there for many years, but she can't remember when it went. I suppose the plane was just put there as a symbol of the place's military status. Much as there are other examples of military hardware dotted around military establishments to this day. Mom remembers that, for some years after the war the talk was that "something secret was going on there". Probably just because the place remained well manned even though it no longer functioned as a barrage balloon base. Another relative remembers the plane. She lived close by in the mid 50's. Dave H - As for the new buildings erected when it became the driver training ctr. I'm pretty sure nothing was added. They just made use of what was there already. No problem, Vox, press "quote" and then press "reply". Type your answer on the next line that appears free. L.
You're probably right vox, perhaps they just spruced some of the old buildings up a bit to make them usable again. the one you went in to pay and show your licence + insurance before you could use the facilities for example. When I went up there recently to take the "NOW" shot I couldn't recognise the place. Those hangers in the "THEN" shot have certainly gone along with a lot of other buildings which can now only be identified by the footpaths up to them and their foundation bases. I was surprised though how many buildings there are still standing, although all of them are in a state of total dereliction and to be honest none of them look as though they have been built after the 1940's so all are probably original to the base with no new building after. To go even further back, RAF Norton had a predecessor nearby. In 1915 the RFC opened a training airfield and landing strip at Coal Aston, near to Norton Lane, just south of the now Norton Lane/Bochum Parkway junction. It eventually grew to cover a large area around what's now the 4 Lane Ends roundabout at Meadowhead. This site, along with one at Ecclesfield and another next to the Redmires Camp were used for much of 1916 for night flights in defence of Sheffield. Unlike the other 2 though,it remained as an RAF establishment well after the war ended. To begin with it was home to No 17 Training Squadron, RFC, and for some of the time to flights from 33 Squadron, whose headquarters were at Gainsborough. The squadrons flew BE2c aircraft from a grass strip, but as its need as a defensive site grew less, it became a unit for carrying out repairs to a variety of aircraft, and eventually became No 2 (Northern) Aircraft Repair Depot. It became almost a small township with hangars, stores, messes, living quarters and a church. It even had its own railway. Women from the Army's Voluntary Aid Detachment eventually arrived to release RFC members for active service. Towards the end of the War PoW's were housed on part of the site. Government interest in the site dwindled and by 1920 the airfield was unused. When it went up for sale in 1922, it is said the City Council showed an interest in acquiring it for the development of civil aviation, but nothing came of it. Just think, Sheffield could have been up there with London in having its own airport in the 1920's! I've got a mission now about this plane thing. Apparantly there were two planes at the gates. The Spitfire it appears went to RAF Gaydon as gate guardian, then it went to the RAF museum at Hendon, London, where it was restored and is now displayed there. Somewhere there must be photos of it while it was at Norton. Googled RAF Norton Spitfire and found quite a bit. Just found this photo of it while it was at Norton although not by the gate. Thanks again Bayleaf, I will have to try and get a copy of that book, sounds like there's a lot of interesting stuff in it. Sheffield could have had a civilian airport, at Norton, from the 1920's. What a loss! Great picture link vox, although I still can't remember it being there in the 60's but I look forward to hearing more about the second plane now that you are on a mission to uncover the details.